Words define how we conceive of what is around us. They allow us to communicate about the world and reality. Word symbols generate images in our perceptual inner-reality to reflect an idea about reality, whether it’s accurate or not, or even exists in reality or not, such as a fantasy belief. Manipulate words, and you manipulate consciousness and perception of reality. If someone does not understand the proper meaning and definition of a conceptual word symbol, that will create confusion with respect to an aspect of reality. This confusion creates disorder and disharmony from reality, existence and truth. This confusion leads towards chaos in one’s life however great or small relative to the importance of the particular word symbol that is supposed to reflect reality accurately. It can be minute chaos, or larger chaos, like how most people think authoritarian centralized power in government is “good”, when it isn’t. People are influenced with beliefs to believe government is “good”. False understanding, creates a disparity in comprehension and communicating reality, leading to confusion and conflict in those who can’t resolve their inconsistency and disequilibrium with reality. Those who can’t find the truth to resolve their confusion may end up in internal conflict, and try to control their cognitive dissonance and perception of reality to conform to their erroneous conceptions. Reality negotiation takes place and they reframe their confusion of reality into conformity with their existing false beliefs, self-view and worldview to maintain the self-delusion and unreal perception of reality. This is how we attempt to create “order” from the chaotic and conflicting inner state within us. Get rid of some aspects of reality that conflicts with our false perception, and we create “order”, stability, security and comfort within our inner being. We fool ourselves all too easily with cognitive biases. We are too attached to “well-being” and “feeling-good” at the expense of facing the truth in reality. A semantic misunderstanding can be similar. A basic benign example of a semantic misunderstanding to exemplify the importance of words and definitions, is of a lecture being given by someone who uses a word others are not familiar with. At that point, the introduction of that word symbol that people do not understand trips them up and prevents them from continuing to properly understand the lecture being presented. The lecturer goes down one path, and those who lack understanding can’t follow. The lecturer speaks of a concept, but the words used to describe the concept are not understood properly, and therefore the concept is not understood properly. The lecturer will be talking about something, “A”, but those listening and misunderstanding will be thinking of something else, “B”. They develop confusion and frustration from this ignorance of the meaning of the words. Other concepts are built from previous concepts. The lack of definition in foundational concepts will create an inability to understand later ones properly. Hence, confusion develops, and ultimately chaos in the internal framework of understanding reality (our perceptions that form our worldview), because a term/word used to create a conceptual framework to reflect upon reality, is not known properly, not known at all, or is misrepresented and is false. The internal subjective perception of reality no longer aligns with the external objective reality. 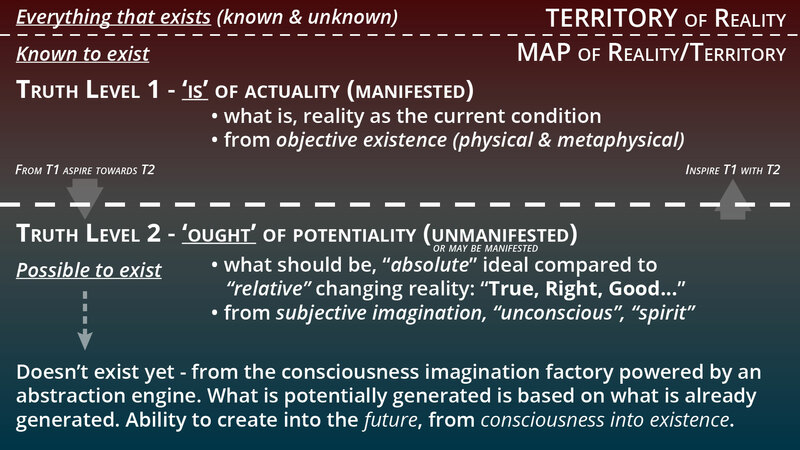 This is a disequilibrium between our internal perceptions or worldview (a map of reality), and the reality that ‘is’ (the actual territory of reality). When the map of reality does not align with the territory of reality, this potentially leads u into false paths and ways of living. Seek truth. Understand the true meaning and definition of words. They shape our conceptual understanding of reality and can be used for mind control to manipulate, deceive, fool, dupe, bamboozle, hoodwink, con and trick us. Ignorance begets confusion. Confusion begets control. Control begets chaos. Look at our world of coercive authoritarian external control. We are ignorant and confused and this has led to control worldwide, leading us into increasing chaos under an illusion of “order”. Words matter. They shape our understanding and perception of ourselves and the world. This is the point behind “newspeak” in Orwell’s 1984, to obfuscate and confuse the meaning of reality and limit the degree of conception we can invoke from it, thereby limiting consciousness and keeping it under control, mind control. Manipulation is magic, as my previous posts have demonstrated. Don’t let these spells get cast on your consciousness!